you must be planning a trip or looking for things to do in Huntsville, Alabama! And if that’s the case, we are so glad you found this page! We’re going to fill you in on 5 helpful things we wish folks would have told us about Huntsville. You can pin this page to read later if you’re short on time! where to stay and play. 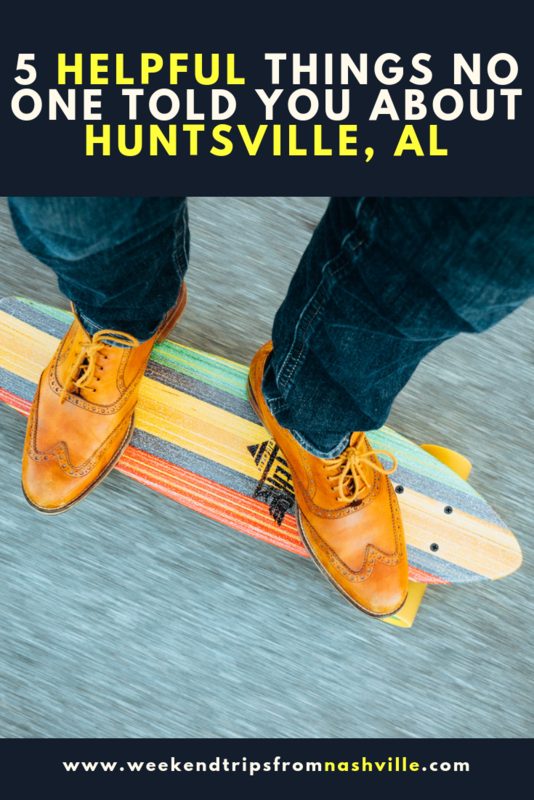 We partnered with Huntsville-Madison County Convention and Visitors Bureau to bring you details of some of the best things to do in Huntsville, Al. All opinions are our own. 1. It’s not all space and rocket stuff. Whenever I recommend Huntsville as a destination, people reply vaguely, “oh, yeah…isn’t that the space camp place?” The answer is YES! But there’s a lot more to Huntsville, Al, than just rockets. While there is an exorbitantly high percentage of rocket engineers in town, Huntsville is also a college town. Local nearby universities include: the University of Alabama Huntsville, Alabama A&M, and the University of North Alabama, a little farther from town. Huntsville is also a military town. Redstone Arsenal is the local army base. Development is on fire, from housing to shopping to entertainment, Huntsville is on the cusp of a BIG BOOM. Local eateries that rival its bigger sister cities like Nashville, Birmingham, or Atlanta, are popping up all over town. Check out Campus No, 805, a middle school turned into an entertainment venue complete with axe throwing and its own speakeasy hidden behind old school lockers. Other new developments include an outdoor amphitheater set to rival neighboring cities and to draw in musical and cultural events! 3. There are all sorts of things to do for every type of traveler! Want to explore the outdoors? 4. Huntsville is big-city cool with small town perks. When was the last time you ventured downtown for a night out and paid $2.00 parking? In big cities, half the night’s budget can be spent on parking and Ubers. Likewise, a cocktail in Huntsville won’t cost you $12-15, as it does when you’re in Nashville. Overall, you’ll find your money goes farther in smaller cities, like Huntsville. 5. You can find treasures while shopping in Huntsville, AL. This locally-owned and operated men’s store looks as cool from the outside as it does inside. Located in the revitalized downtown area of Huntsville, this shop is next to Honest Coffee Roasters. Be sure to hydrate there before or after your shopping spree. An outdoor walking mall, Bridge Street offers a multitude of restaurant sand shopping options, as well as a movie theater. Love vintage goods? Ummm…don’t miss this quirky store! Ever wonder what happens to all the unclaimed baggage found at airports? Head over to this multi-building location to find out. You can easily spend half a day digging for treasures here. Read more: Want to see pictures of a rare peek inside the historic Hot Springs bathhouses in Arkansas? Want a hotel that’s central to all the sights and restaurants in Huntsville? Book a room at one of the newest hotels in town, Drury Inn & Suites! Ask for a room with a view of the rocket; this hotel is located right across the street from the Space and Rocket Center! This hotels perks include: indoor hot tub and pool, gym, complimentary breakfast and dinner, and complimentary happy hour daily. 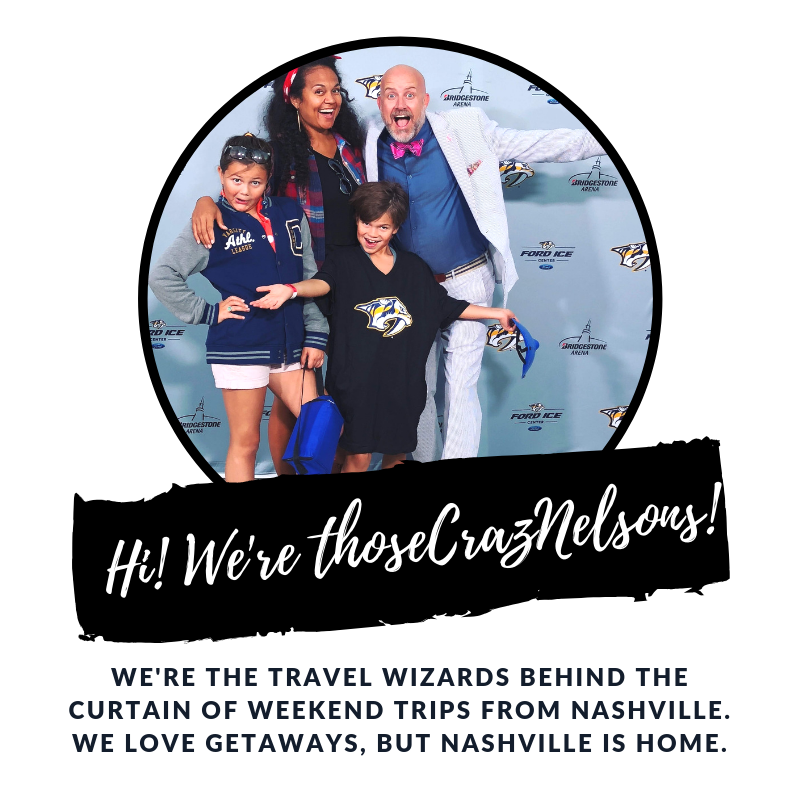 Need a getaway idea that’s PERFECT for kids?? Have you been here?